The Maxima II Drafting Chair adjusts in height up to 32.5". 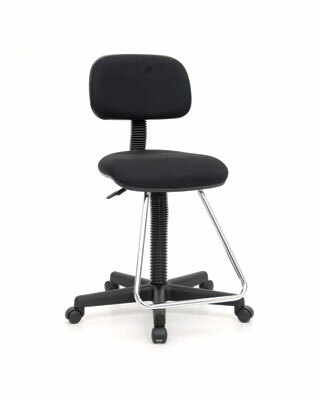 It features a padded seat and backrest that can be adjusted for all-day comfort. A chrome teardrop footrest extends from beneath the seat. The chair sits on a stable five-star nylon base with casters for mobility.